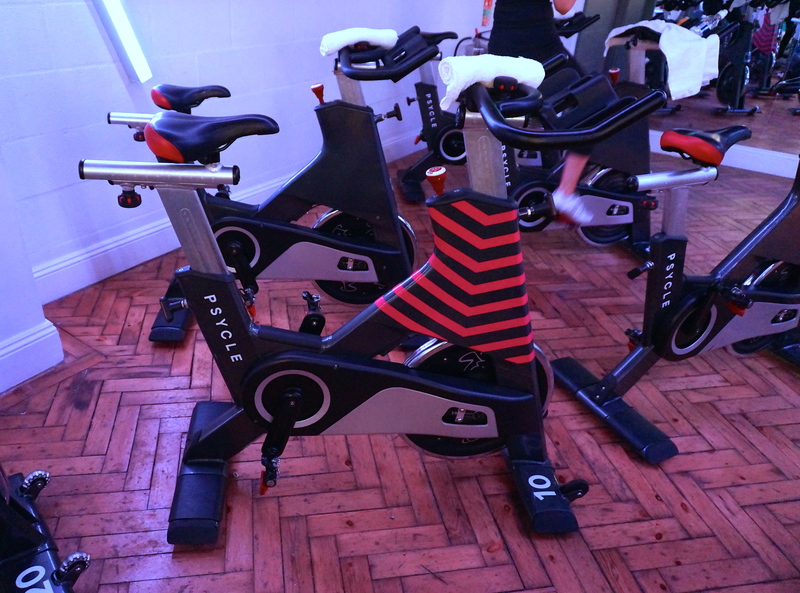 Spinning has had a huge revival in the past few years with new studios popping up all over London jostling for your cold hard cash! But how do you choose where to snap on your cleats?? Let me introduce you to one of the big players who promises to offer an intense full body workout on the bike set to some rocking beats! 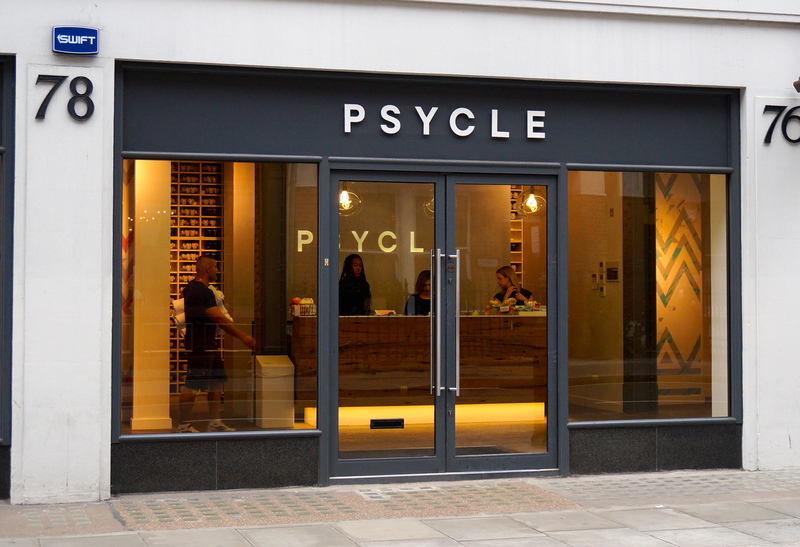 Hiding just a few minutes walk away from Oxford Circus tube station sits the Psycle Studio, all glass fronted and shiny white but oh so welcoming! As with most studios in London you will need to set up an online account, snap up some credits and book yourself a bike before you rock up to the studio. 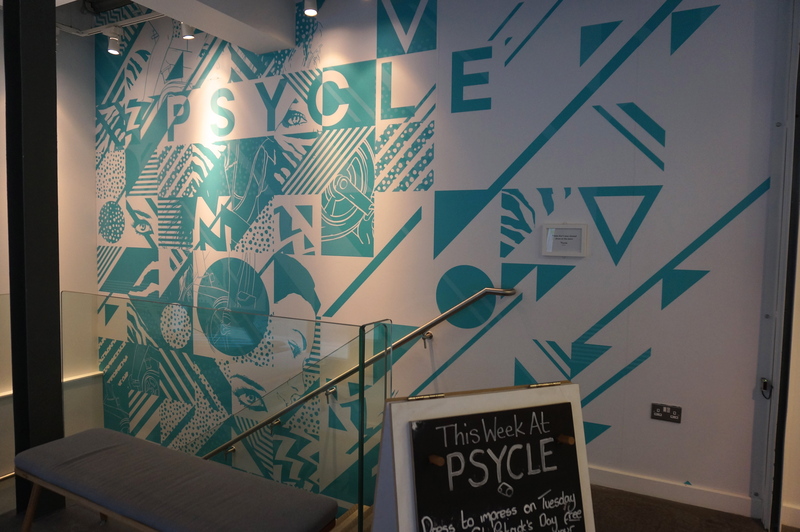 With 2 studios running consistently full classes from 7am until 8:30pm 7days a week Psycle is a seriously popular studio! Most classes are 45minutes but they also run 60 and 90 minute rides and there is even a speedy lunchtime class 2 days a week including a 35minute ride with a healthy lunch from The Detox Kitchen thrown in! 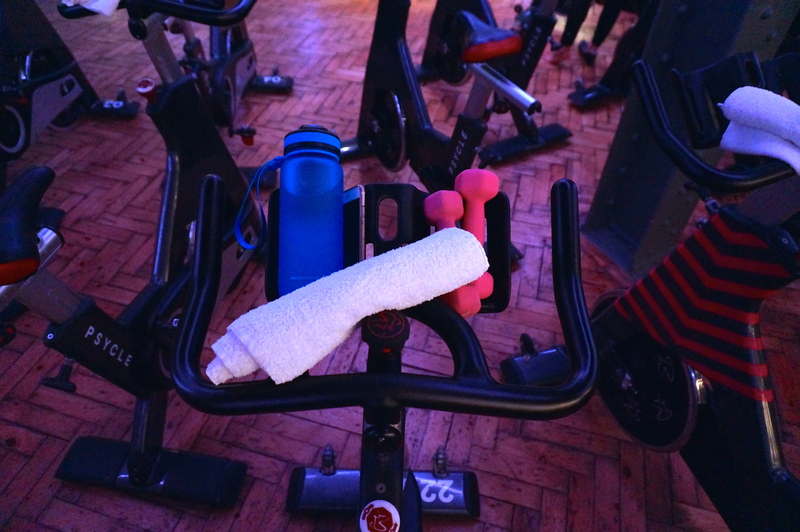 No trainers are allowed in this dedicated spin studio so you will need to pop on a pair of cleats (special spinning shoes with firmly attach your feet to the pedals to allow for optimal muscle engagement and maximum calorie burn!) 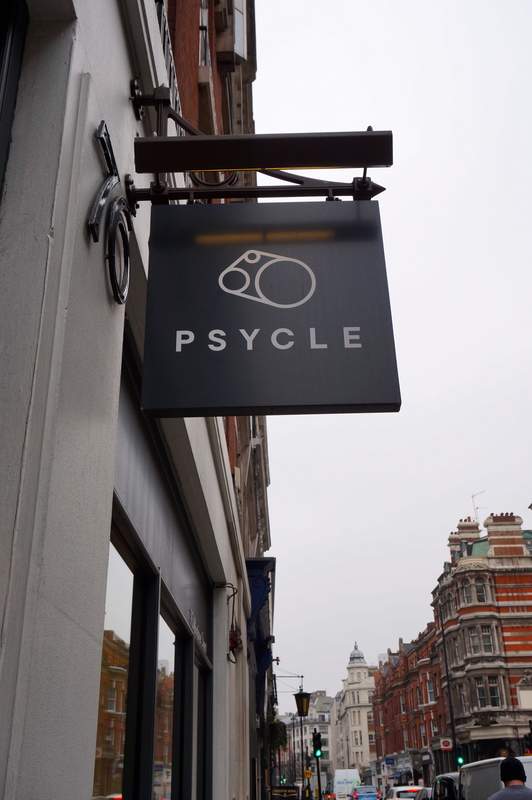 which Psycle happily provides for each rider. Don’t worry they are washed after each use! Once all kitted out its time to make your way downstairs (cleats in hand please, we don’t want any accidents!) to where all the action happens! Now down to business. 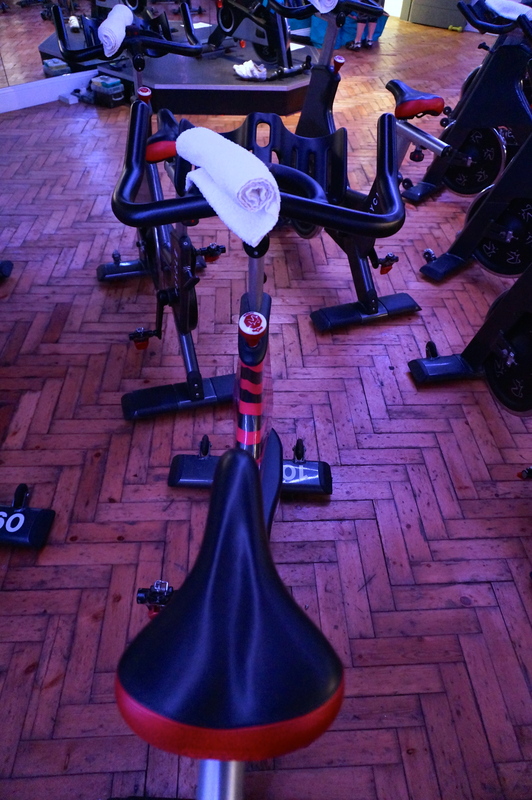 Each bike is set up ready to go with a fresh towel and space for water and hand weights (this is a full body workout after all) but on your first ride you will need a little help to adjust the seat and handle bars for your height. Make sure you pay attention when they do this set up and try hard to remember the numbers as you can enter them on your online account so you can set yourself up the next time. Each studio opens its doors about 5-8minutes before the class is due to start with the idea that you get on your bike and moving your legs asap so the door can close bang on time and there are strictly no late comers allowed!! 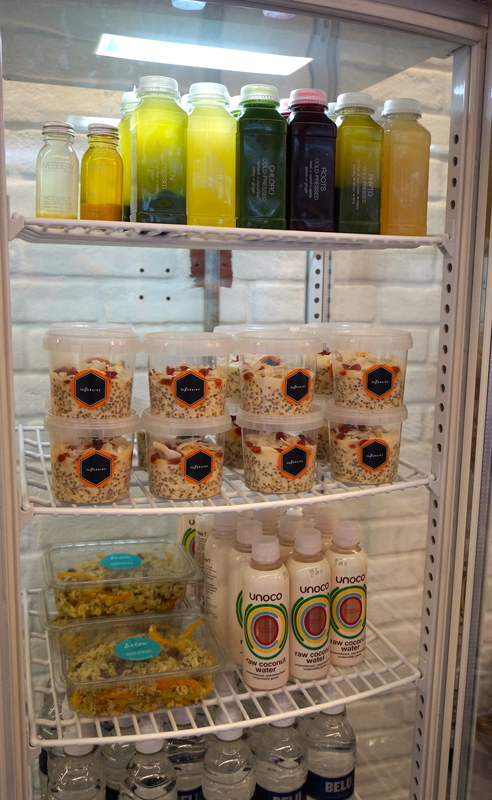 After your spin session it would be rude not to indulge in the super tasty treats including cold pressed juices from Imbibery to delicious salads from The Detox Kitchen. Or why not treat yourself to some shiny new kit from Luluemon?? 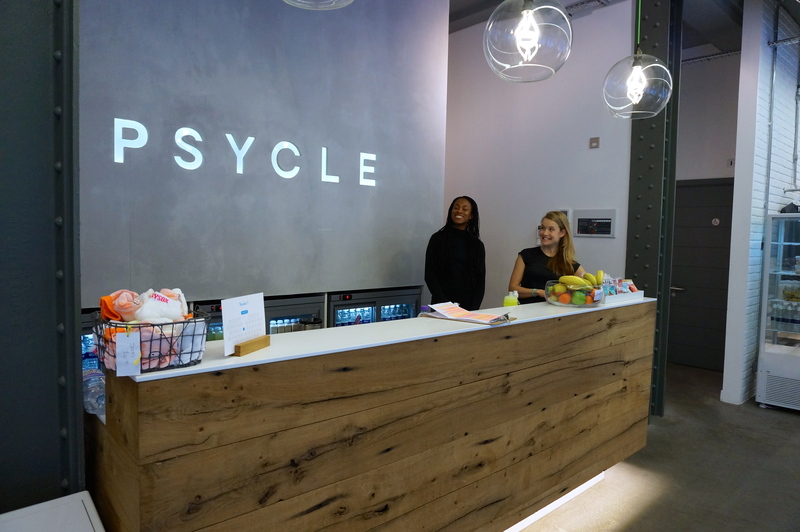 Psycle sets itself apart from other studios by really focusing on the beat – every class I have attended has had an amazing sound track which acts as the base for every move you do on the bike. The speed and style of each exercise is dedicated by the music making it super easy to get into the zone and just block out your day. Psycle also offers “Themed Rides” to keep you well and truly entertained!! From London Fashion Week to Rock, from Ibiza to Brazil the trainers really push the boat out with these rides including full costumes and epic sound tracks! Except to sweat, a lot and to find every single class a challenge; but also expect to become slightly addicted to that post class rush! I know I am!! Get yourself booked in here!